When should you start doing what for your Wedding Day? It doesn’t matter if your big day is twelve or three months away, there are certain things that need to happen during every stage of your planning. As the saying goes: failing to plan, is planning to fail. 12 – 9 Months before: Let the dreaming begin! Choose a theme for your wedding. Decide if you want your wedding dress made or if you are going to hire/ buy a dress. Start looking for a designer/ retailer. Get your legal documents in order for the marriage license and prenuptial contract. Decide what your bridesmaids/ groomsmen will be wearing. Book your marriage official/ pastor. Hire a wedding planner/ consultant if you aren’t going to be a “hands on” bride and groom. 9 – 6 Months before: Things are getting exciting! 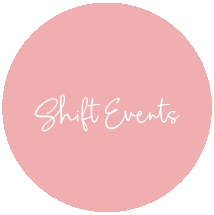 Contact Shift Events to create the perfect wedding website and online invitation to wow your guests. Start looking for accessories – shoes, lingerie, jewellery etc. Give your wedding party a list of responsibilities or duties. Book everything you still need for the reception – the florist, caterers, cake maker, the band, DJ etc. Book a hairstylist and makeup artist. Pay all the deposits required. Book leave for your honeymoon. Assist the groom with his outfit. Compile a list of possible accommodation options for out-of-town wedding guests. You can send the list along with the invitations. Create a wedding gift registry. 6 – 4 Months before: You are doing great! Order all your wedding stationary – menus, place cards, thank-you notes etc. Buy gifts for your partner and wedding party. If you are going overseas for your honeymoon, make sure your visas, passports and vaccinations are in order. Make sure you have transportation to and from the wedding. You should have your kitchen tea/ bachelorette’s soon. 4 – 2 Months before: Not long now! 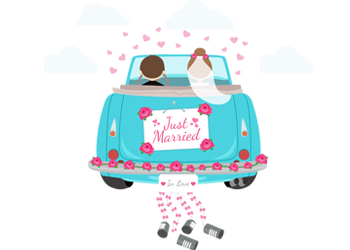 Send out your wedding invites using Shift Events. Finalise all the details for the ceremony and reception – flowers, décor food etc. Order and size wedding rings. Buy a few honeymoon outfits. Choose and order party favours. Have a hair and make-up trail. Make sure your wedding party has all the accessories they need. Choose the music for your ceremony, reception and first dance. Make a list of people that you want to include in your wedding photos. 1 Month before: Down to the wire! 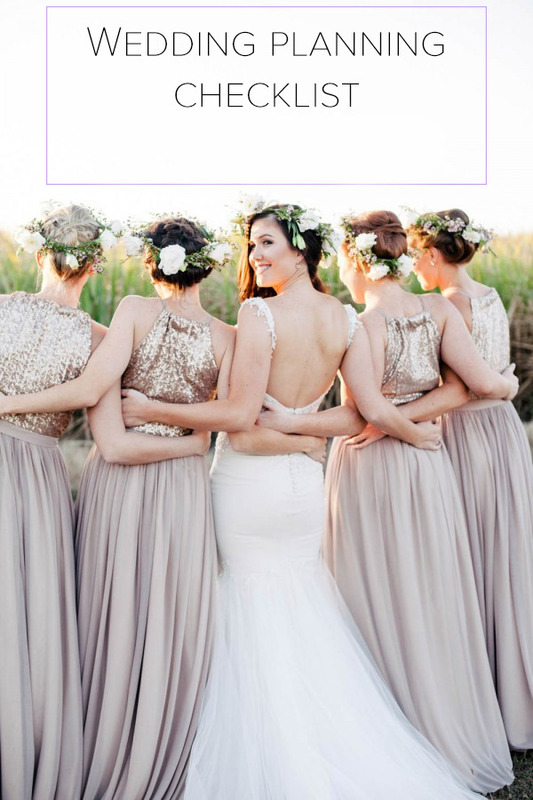 Ensure that your dress and the outfits of your wedding party are perfect. Follow up with people who didn’t RSVP yet. Pick up your wedding rings . 1 Week before: Breathe, honey! Make sure your caterer has the final guest list. Ensure that everyone knows exactly what is expected from them. Treat yourself to a bit of pampering – a facial, manicure and pedicure. Make sure all the payments are done. The Day before: This is happening! Give the rings to the best man/ ring bearer. Have a final check-in with all the role players – caterer, band, florist, cake maker etc. On Your Wedding Day: Whoo-hoo! Enjoy every single moment of your day and don’t sweat the little things. Change your Facebook status the day after the wedding ? After the honeymoon: Final piece of the puzzle! Change your name on all legal documents. Share your wedding photos with your loved ones.